The shorter days and colder weather probably mean that you spend more time at home, curled up and being still and quiet. 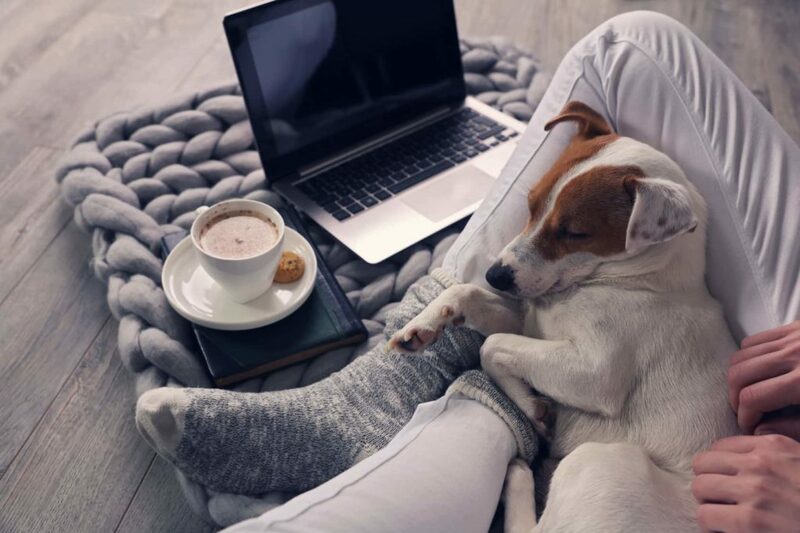 Snuggling up in comfy, casual clothes for a lazy weekend or an evening in-front of Netflix is a beautifully nurturing activity at this time of year. Relaxing at home is a great opportunity to practice self-care. There is a ton of proof that taking time out for yourself, especially after a busy time like Christmas, has many health benefits, lowering stress levels, supporting your immune system and even making you more productive after taking some time out. Why not take self-care to another level and upgrade your comfies? Your old, stained jogging bottoms and bobbly, holey jumper might be comfy and warm but do they make you feel lovely? And how about you actually light that beautiful scented candle that you got for Christmas instead of saving it for a special occasion that never arrives? You could even open the fancy hand cream and give yourself a hand massage too! Light the fire, put on your upgraded loungewear and do some self care. Self care January only just entered my vocabulary but is needed this year more than ever. The usual Christmas rush, hospital visiting friends and an upcoming funeral of a family friend on top of a cold virus I feel are definite credentials for receipt of self care. I’m so glad you addressed self care Helen! As a wellness coach, I see how often this is something to put off and never get around to. It doesn’t have to be anything big or spendy, but we sooo need it after the stress of Christmas, to reset our ever burdened nervous systems. Five minutes daily if you must, but half an hour (or more) and your body will thank you. And I have just discovered the luxury of cashmere socks…. so lush!